While traveling these last two weeks via Istanbul, Venice and Trieste to Rovinj, Croatia I have been rereading Robert Olen Butler‘s Christopher Marlowe Cobb novel, Hot Country and its follow-on, The Star of Istanbul. I think Hot Country is as good as any novel he has written. Fair Warning. There are certain pieces of art that give me pause when I stand before them. They are Rembrandt’s Polish Rider (Frick Gallery in New York City), Rodin’s The Burghers of Calais (several casts made) and Michelangelo’s Pieta. I am silent a moment when Doestoevskij’s name is invoked; likewise the poetry of Boris Pasternak and Anthony Hecht. Full disclosure: Robert Olen and Kelly Butler are friends of mine and my wife. We don’t see them often enough. I learn to write by reading what Butler writes. I believe that with The Star of Istanbul Robert Olen Butler has taken his art to a far higher plane. I am awe-struck. Upon second reading, Butler’s The Star of Istanbul enters another realm of fiction. If this praise seems excessive, well, there you go. Don’t read further. Butler has published twenty books, but save for Good Scent from a Strange Mountain, for which he deservedly won the 1993 Pulitzer Prize for Fiction, my wife and I have our favorites. She admires Fair Warning: I, not so much. I really like his Christopher Marlowe Cobb thrillers Hot Country and its follow-on, The Star of Istanbul; Patrice, not so much. Butler often writes books that appeal to a woman’s sensibility. What might I mean by that? Several years ago, a young wife, a neighbor, handed me the book, Cormac McCarthy’s Blood Meridian, her reading club had panned it. “Here, Robert, read this. It’s a man’s book.” She was right. It was a man’s book, big time; blood, horses, death, coffee boiled over campfires. Butler writes ‘man’s’ book as well (He also writes books where he alternates the woman’s with the man’s sensibility. See A Small Hotel and Deep Green Sea). Always until now each book has been an ‘experiment.’ He writes literary fiction at its best. This is good news and bad news. Literary fiction appeals to the cognoscenti. When such fiction is good, it rewards multiple reads. When literary fiction is bad, it is deadly. And, save for the random lightning strike, those authors who through the ages have made a living selling books write series (same hero/heroine or same sensibility, i.e., Jane Austen, Charles Dickens, William James, Michael Connelly, i.e., genre), which builds a fan-base. The fan is primed to buy the next novel. With Butler, one can’t know what to expect. It will be spectacular, but it will not be familiar. Writing outside the boundary does not sell books. So those of us who admire meticulous craftsmanship as well as a good read, well, we appreciate he has a good gig at Florida State University. The book cover blurbs do these books little justice. “Swashbuckling adventure” stories? Yes, some. Christopher Marlowe Cobb loves women and shoots bad guys, thus these are adventure stories. This novel takes place in and around Vera Cruz, Mexico after its occupation by US forces in April, 1914. A hotshot American newsman, Christopher Marlowe Cobb, young, ambitious and bored, goes looking for news, action and excitement. War is in the air (Archduke Franz Ferdinand of Austro-Hungary will be assassinated on 28 June 1914; The German Army invades France in August 1914). There is a German ammunition ship in the harbor. A German agent arrives in the dark of night. The bandit turned revolutionary Poncho Villa is ravaging an already ravaged countryside, apparently winning a civil war. 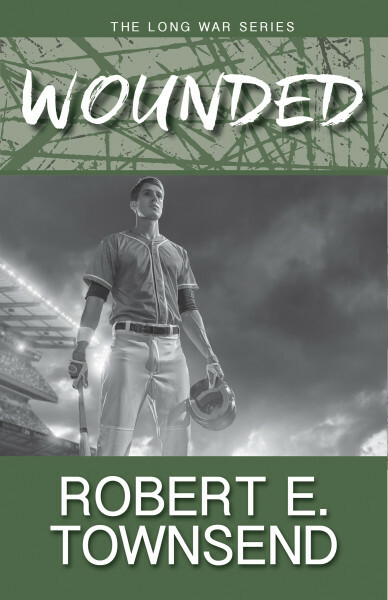 Cobb goes seeking what we military intelligence officers would call ‘ground truth.’ The young man has a discerning eye, but interprets as a young man interprets. The pretty women divert him; strong personalities attract him; winning revolutionaries are romantic. But he comes to tentative conclusions, challenges his interpretations, argues with himself. Butler has Christopher Cobb work five stories concurrently––What is the German Agent, Herr Friedrich von Mensinger, up to? ; What is his mother up to? ; What is Poncho Villa up to? ; What is US President Woodrow Wilson up to? ; And what the hell is going on in the mind of that gorgeous Mexican girl sniper, Luisa Morales?­­––while avoiding getting shot. Butler, my age, i.e., eligible for Social Security, has not forgotten how young men think. Christopher Cobb makes mistakes, has prejudices, and always those pretty girls. Old generals are rightly suspicious of a young lieutenant’s reconnaissance report. He is saved more than once by circumstance, and like a young man, presses on toward the next near disaster. Good stuff, good story, and true. This novel begins on 15 May 1915, aboard the Lusitania as it begins its last voyage. Butler conveys the sensibility of the times. He uses slang of the era, quaint, then appropriate to the time, hinting, whether on purpose or not, at how words form our thoughts. He establishes the hero’s professional quandary; he is a reporter who has been asked to use his profession as a cover for nefarious state deeds. Christopher Cobb senses no conflict save that he desires to be good at both. He was and wants to remain a good reporter and he wants to be a good spy. There is none of the fashionable Vietnam-era mewling about a reporter’s independence, ‘purity,’ his/her need to be ‘true to truth.’ Used by the ‘Man?’ The thought doesn’t enter his head. It was another time and to that era’s sense of loyalty, Robert Olen Butler is true. Cobb’s conflict resides there where his desire to gain the favor of a beautiful woman, Selene Bourgani, collides with his task to ‘run an operation.’ Cobb’s lust/love calls to mind the young Wisconsin whitetail buck during the November rut; the Friday night highway from Madison, Wisconsin to my north woods farm is an abattoir of formerly lusting bucks. Young Christopher Cobb is only slightly more sophisticated. But Butler exquisitely lays out the difficulty of discerning a working truth in a world where those about us withhold information or actively deceive. The CIA publishes Studies in Intelligence. The articles, classified or unclassified, are mostly run of the mill historical monographs, often self-serving, whose ostensible purpose is expand awareness of the craft. I’ve read them until my eyes fell out. I, and any historian, reporter or intelligence officer, would be better served reading these two Butler novels than a year’s worth of Studies in Intelligence. Hot Country is a very good novel deserving of a Five if rated in Good Reads. The Star of Istanbul? It is off the charts. When I was a young (and single) counter-intelligence officer, I read Robert Pirsig’s Zen and the Art of Motorcycle Maintenance numerous times. It served me well. It taught me logic, it power and pitfalls. I wish I also had had The Star of Istanbul in my hands when I was that twenty-one year old intelligence officer attempting to bag eel-slippery truths. Both books­­––good reads. Each is so worth a second read through. If you really have to choose, do The Star of Istanbul. Know, however, that I disapprove that you felt you had to make a choice. You really, really need to read both. Carefully.